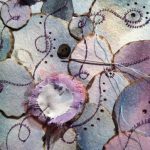 Susan will demonstrate and guide you through creating your own deconstructed, mixed media textile artwork working with a variety of colouring media, stitch and heat manipulation. 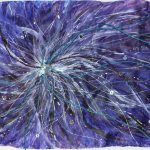 Learn how to create your own artworks using materials that you have painted and dyed yourself. Working from photographs of natural forms or landscape or you can even bring a photograph of your own to work from. We will analyse images to consider suitable areas to respond to for your piece of art. You will add colour to represent your chosen image as you see it. Once dry, you will deconstruct your fabric and manipulate with heat. You will eventually reconstruct your image to create an abstract textural final outcome. 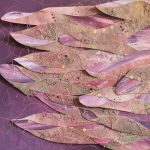 Susan Bedford is a Derbyshire based artist who has been exhibiting her work locally since 2005. She has sold work locally and internationally, as far afield as Australia. With fifteen years of secondary Art & Design education, teaching from key stage 3 through to A2 level, Susan has a wealth of experience in working with mixed ability groups and loves enthusing others in the subject she is passionate about.